There’s never been a better time to grow a subscription-based business. But the landscape is also more competitive than ever. How do you rise above the noise and obtain devoted subscribers? With our new ReCharge report pack, any recurring-product business can get advanced analytics to help obtain a devoted subscriber base. It’s the latest addition to our automated packages of analytics reports. The new pack includes a curated selection of reports proven to help subscription-based ecommerce sites get more traffic and increase recurring revenue. Each report automatically pulls relevant data from your Google Analytics account and turns it into actionable reports, with essential tables and smart visualisations. From vitamin supplements to hacker boxes, product subscription companies are on the rise. Getting products in the mail every month is a huge chunk of the future of ecommerce. According to the Subscription Trade Association (SUBTA), the subscription box industry alone is on track to generate more than $90 billion in annual revenues in the coming decade. SUBTA itself was only formed a little over a year ago, coalescing around this exciting new ecommerce community, and their first events have all sold out. Entrepreneurs who want a piece of subscription industry growth need to optimise every part of the customer life cycle. You don’t just need more traffic, you need better-quality traffic. And you don’t just need to improve the user experience (UX) on your site, you need to create an engaging customer experience (CX) that drives conversions, brand devotion and upsells. Sounds easy, right? Think again. Luckily there are solutions like ReCharge and Littledata that work out of the box to help you run and optimise a subscription business. Our popular ReCharge integration was built to give subscription-based companies accurate marketing attribution for signups and sales in their Shopify stores, but it’s quickly grown to be even more detailed, offering deep analytics across the subscription customer life cycle. Automatically connecting marketing campaigns to recurring payments is just the beginning. 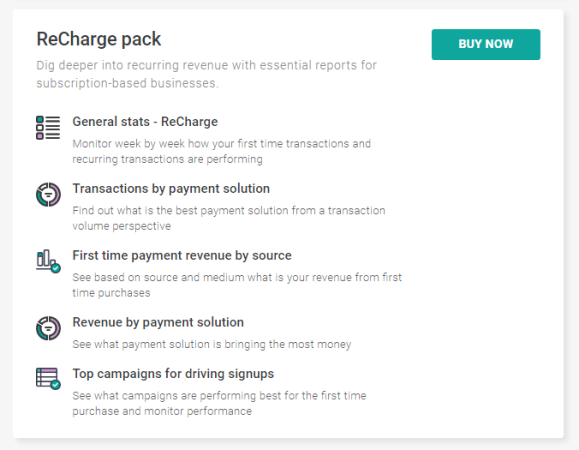 The first ReCharge report pack makes it easy to keep tabs on where your customers are coming from, the balance between new signups and recurring payments, and how different subscription plans are contributing to revenue. The pack contains a general overview widget plus four key reports for digging deeper into recurring revenue. Which marketing campaigns are driving the most first-time purchases? Is organic search outperforming your PPC campaigns? Is revenue per recurring purchase growing at a steady rate? The Reports tab in your Littledata dashboard automatically shows all relevant report packs, so check them out today and reach out if you have any questions. The ReCharge pack pairs well with our Basics pack, which includes essential reports on site performance and user behaviour. 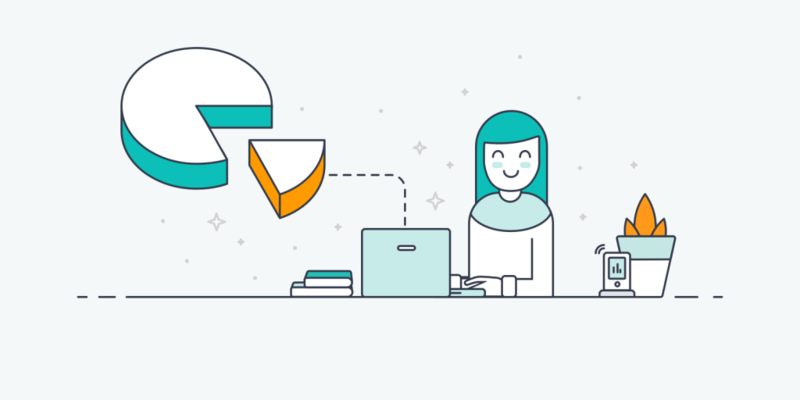 PS: Still waiting to try our Shopify reporting app? Don’t delay! We have a plan for every sized business, and ReCharge integration is free!